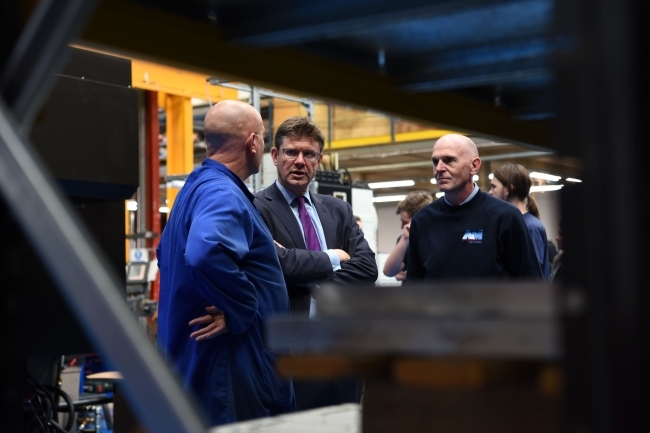 Greg Clark, Secretary of State for Business, Energy and Industrial Strategy visited precision engineers A&M EDM in Smethwick to understand what drives growth and the issues facing a manufacturing SME. The Business Secretary met A&M’s current and recent apprentices, speaking to each individual about their motivation to become an apprentice, the work they undertake and the skills they are developing by working with experienced engineers. All of A&M’s apprentices study for academic engineering qualifications at Dudley College. A&M showcased engines and components manufactured for aerospace and automotive customers. 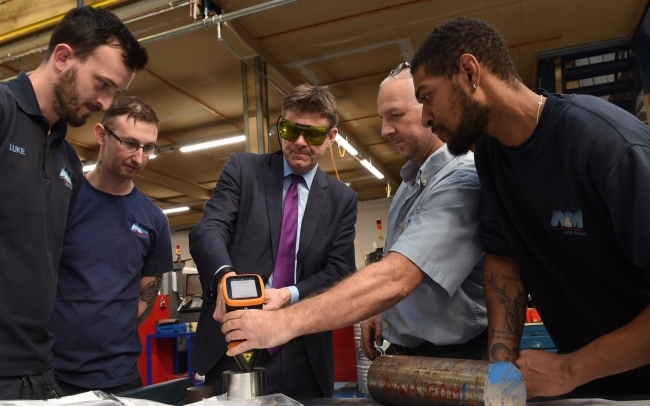 In addition, Greg Clark saw a new CNC high speed machining centre and handheld alloy analyser in action; these were part funded by a Black Country Local Enterprise Partnership grant to create new manufacturing jobs. The Business Secretary discussed the implementation of the Industrial Strategy in practice with senior representatives of the Black Country Chamber of Commerce, Black Country LEP, Dudley College and EEF, the body for UK manufacturers. A&M has grown from a two-man start-up in 2002 to 67 staff and record sales over £6m in 2018. This has been achieved using electronic discharge machines (EDM) and CNC machining to design and manufacture precision components and tooling for prototypes and production runs for a range of UK and international customers.